The families had sought at least $6 million from Greyhound, but given that the jury found in favor of the bus company, the families of the deceased victims will not receive any financial compensation. 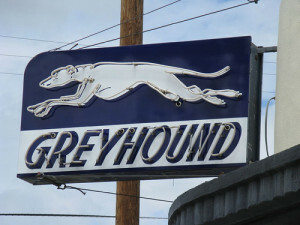 Prior to the outcome of this case, Greyhound reportedly “spent more than $3 million to settle with the two dozen injured bus passengers,” as well as the families of two of the bus passengers who sustained fatal injuries. However, Greyhound didn’t offer any compensation to the families of the young women who had been passengers in the SUV that was struck by the bus. In addition, the California Highway Patrol indicated that Jewett had in fact been wearing his glasses and, even with them on, he “couldn’t see the dark undercarriage of the SUV.” The defense also presented evidence showing that Jewett had been driving Greyhound buses for 32 years and maintained a clean driving record. While it can be difficult to prove that a big company is liable for injuries in an accident, it is important to seek compensation when you have been injured because of another person’s negligence. Bus accidents often result in serious and fatal injuries. If you or someone you love has recently been injured in a bus crash, you may be eligible to file a claim for compensation. Contact an experienced San Diego bus accident lawyer at the Walton Law Firm today to learn more about how we can assist with your case.